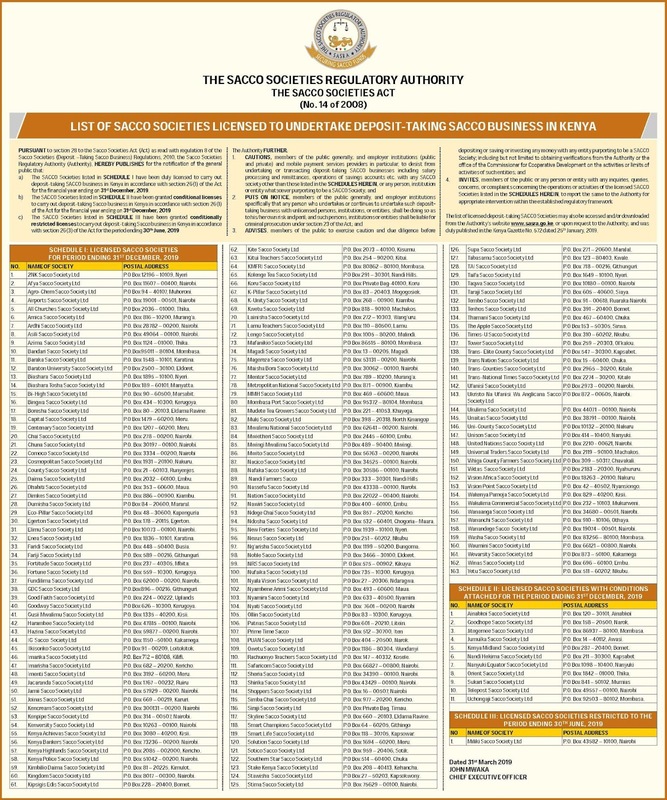 Sacco Society Regulatory Authority (SASRA) released a list of all licensed Saccos that can take customer deposits in 2019. Before you take your money to a Sacco ,kindly check it against this list of deposit taking Saccos licensed to do business this year. Mwabaya Katana is a Finance Online Researcher and Writer.He is the founder of 'Loans Kenya' Blog. © 2019 Loans Kenya Blog.